If one of your goals for 2019 was to find the perfect home to create a new chapter of memories, you can soon check that off your list! 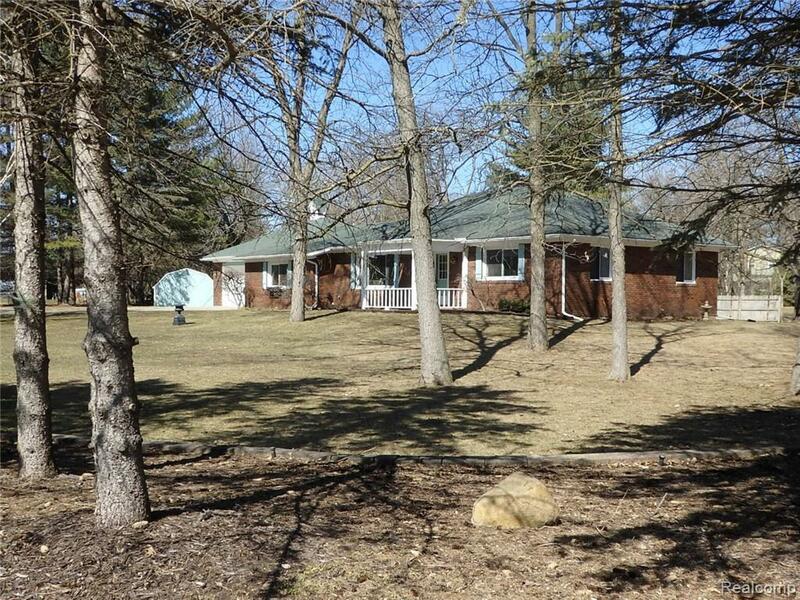 This impeccably maintained sprawling ranch sits on 1 acre of beautiful park-like wooded property, with plenty of elbow room, Fenton Schools and close proximity to Tipsico Lake boat access. Great layout features generous room sizes with living and family rooms connected, a large country-sized kitchen with mobile island/snack bar, dining area and plenty of cabinet/counter space. Huge master bedroom is 20' wide and offers room for a vanity area. Large updated bathroom with newer double sink vanity/counter top. First floor laundry/utility area includes a newer water treatment system. Attached garage is actually the size of a large 3 car garage at 30' x 25', and offers pull-down stairs to attic. There's also a giant storage shed, which is probably large enough for a small car! House sits back off the road and the driveway parking is perfect for entertaining.